It’s never too late. I’m training with ladies in their mid-40s and mid-50s who want to learn to box … as a fighter. Watch us train with 2016 Ringside National Champion Dena at Nonantum Boxing Club in Newton. She’s now taking clients for private and semi-private training. 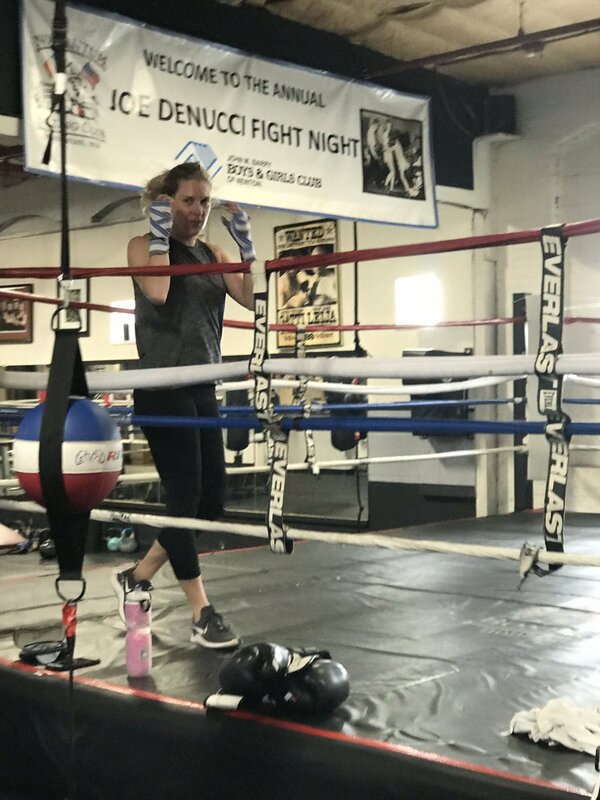 To contact her, please call Nonantum Boxing Club at (617) 340-3700. Category: Spotlight · Tags: Dena is Now a Trainer at Nonantum Boxing Club!